Our product range includes a wide range of door latch, ss door latch and stainless steel door latch. 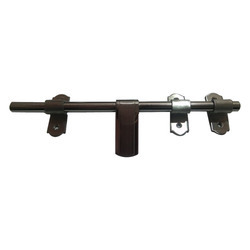 As an esteemed name in the relevant industry, we are offering a precisely designed array of Door Latch. Rod Length 8", 10", 12"
Based on the skills of our adroit professionals and creative workers, we bring forth an extensive range of SS Door Latch. Owing to our state-of-art manufacturing unit and the usage of leading-edge technology, we are able to present a comprehensive range of Stainless Steel Door Latch.